AdvoCare endeavors to maintain the security of the private and personal information you may provide on this site as well as through its online properties and mobile applications. This policy also applies to personal information that AdvoCare collects through offline methods, such as when a Distributor submits a Distributorship application to us, or when a customer calls our Customer Service team. 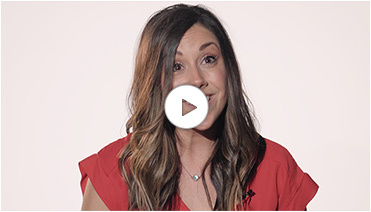 AdvoCare may use information it receives from Distributors about their customers. Unless otherwise indicated, this policy does not apply to a Distributor's collection or use of information obtained by the Distributor directly from a customer. AdvoCare uses the information it collects and receives for a variety of purposes, including: providing customers with products, services, and requested support; processing transactions; shipping orders; communications about AdvoCare accounts or transactions; changes to policies and other administrative matters; to answer questions or comments; to better understand your interests in order to provide you with promotional information, relevant content, surveys, questionnaires, and other materials consistent with applicable law and choices and controls you may have; improving our products, services, and operations; and ensuring compliance with our policies, rules and the law, or as we believe is necessary to enforce or defend the legal rights, privacy, safety, or property of ourselves and others. We also use this information to validate sales by AdvoCare Distributors and for AdvoCare's compliance purposes. AdvoCare or its authorized third parties may contact individuals directly for these purposes. We work diligently and take reasonable steps to protect the security of your personal information, including credit card information, during transmission by using security software that encrypts data. This data is kept in a highly secure environment protected from access by unauthorized parties. Unfortunately, no data transmission over the Internet can be guaranteed to be 100% secure, and while we strive to protect your personal information, we cannot guarantee or warrant its complete security. To protect against unauthorized access to your password and to your computer, it is important that you log off when you are finished visiting any of AdvoCare's online properties. In order to further AdvoCare’s business, we may share a Registered Retail Customer, Distributor or Preferred Customer’s contact information with their designated Distributor, Sponsor and/or Mentors, who may contact them to answer any questions they might have concerning the products they ordered or their AdvoCare business. 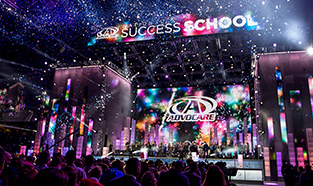 Sponsors and Mentors are able to help new Distributors receive AdvoCare service and attention. We may also share organizational report information that contains information on other Distributors and Preferred Customers in an AdvoCare Distributor's downline (individuals personally sponsored by the designated Distributor, and in turn, all other persons sponsored by the subsequent Distributors on their team). These reports are provided to Distributors in strict confidence and for the sole purpose of supporting the Distributors in further developing their AdvoCare businesses. If you are a customer, we may share your information with Distributors. AdvoCare Distributors who receive customer information are bound by the terms of their Distributorship Agreement and the privacy and data protection covenants contained therein. AdvoCare will take reasonable measures to ensure that the information is kept in confidence. 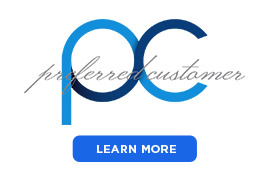 We may also share information with our vendors that perform functions on our behalf as well as select partners. These entities may use your information to make predictions about your interests and may provide you with email, telephone and text communications, special officers, promotions, advertisements, and other materials related to AdvoCare and its business. We may also share information to third parties in other ways when you consent to such sharing. AdvoCare may communicate with you via email, postal mail, telephone or other means on a regular basis to provide requested products and services and/or in regards to issues relating to your relationship with AdvoCare. Additionally, if you subscribe to certain newsletter(s), you may receive periodic information on AdvoCare's business, products, services, special promotions, and the AdvoCare Foundation. Anyone may stop receiving these kinds of communications by following the instructions provided in the communication(s). Personal information is information about an identifiable individual, such as a name, address, telephone number, email address or payment information (“Personal Information”). We collect Personal Information when you voluntarily provide it through our website, or when you provide it to us through other means. For example, we may collect Personal Information when you: provide us with information on our through our website; register with us as a Distributor, a Preferred Customer, a Registered Retail Customer, a Sponsor or a Mentor; use the website to make a purchase; contact us through e-mail, telephone, mail, or other correspondence; or otherwise provide us with Personal Information. For example, we may use and disclose your Personal Information to: operate our website in accordance with its terms and conditions; facilitate, complete or confirm a purchase you choose to make, including facilitating payment for your purchase; ship your order to your designated shipping address; carry out and enforce our Distributor Agreement, respond to your questions or inquiries; to conduct market research and surveys; to conduct promotional activities; to improve our products, services and website; to send you informational or promotional communications that you have agreed to receive; to carry out other purposes that are disclosed to you and to which you consent; to carry out any other purpose permitted or required by law. 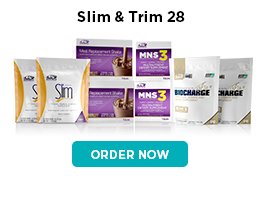 AdvoCare SMS (short message service) is a promotional service that allows individuals to opt-in to receive timely updates and important information about AdvoCare products and events through text message delivered to any text enabled mobile phone. Standard text messaging and data rates apply. Check with your carrier (your wireless or mobile phone service provider) for details on your plan. Compatible carriers include; AT&T, T-Mobile®, Verizon Wireless, Sprint, Nextel, Boost, Alltel, US Cellular, and Cellular One. AdvoCare SMS is currently available for subscribers in the United States only. T-Mobile® is not liable for delayed or undelivered messages. Individuals may opt-in and JOIN by following the text instructions provided in AdvoCare promotions, events, or communications. Simply open up a new text message on your mobile phone, and in the phone number field, type in 999333. Then in the body of your text, type the term instructed and press send. You will receive a response communication that you have enrolled in the promotional subscription. To discontinue receiving SMS messages from AdvoCare, text "STOP" to 999333 and press send. If you are having trouble with your SMS text alert subscription, text "HELP" to 999333. By opting in to this service, you consent to receive mobile text alerts using an automatic telephone dialing system. Consent to receive marketing text messages is not required as a condition of purchasing any goods or services. By signing up, you are confirming you are over the age of 13. For additional help, please contact Customer Service at 1-800-542-4800. AdvoCare respects your right to privacy. We may disclose personal information as required by law, such as to comply with a subpoena, legal proceedings, or similar legal process including disclosure to authorized third party auditors or when we believe in good faith that disclosure is necessary to protect our rights, protect your safety or the safety of others, investigate or prevent fraud, or respond to a government request, whether or not legally required. AdvoCare collects "cookies". A "cookie" is a small test file that can be stored on your computer's hard drive that lets AdvoCare know when and how our pages in our online properties or applications are being viewed, including to analyze trends, administer the online property, track users' movements, and by record how many people are utilizing the online property, and to gather demographic information about our user base. This lets AdvoCare better design a friendlier and productive website. AdvoCare may use your name and billing information and address to provide a service or product to you, and we may use this information to keep you informed of products and future events and services. AdvoCare does not sell products and services for purchase by children. If you are under 18 years of age, you may not use the website without the involvement of a parent or guardian. AdvoCare only sells products and services to those who are 18 and older, and is in compliance with the Children's Online Privacy Protection Act of 1998 (COPPA). COPPA sets forth rules and procedures that govern the way in which websites may collect, use and disclose personal information of children.